In a continuation of my personal study of the history of the Vikings, I picked up “Women in the Viking Age” by Judith Jesch. Dr. Jesch is Reader in Viking Studies at the University of Nottingham, England and the author of numerous studies of the Viking Age and Old Norse literature. This book is a very thorough examination of the role of women in various contexts. Jesch begins with the evidence of archaeology, especially what’s found in graves. Women’s graves can be identified by the objects found in them such as jewelry and bits of clothing, domestic utensils such as implements used in weaving cloth, combs, needles, knives, shears, some cooking equipment and agricultural implements such as sickles. There have been many studies of graves and grave goods and Jesch cites these in her analysis. Her next chapter explains how women appear in runic inscriptions. Many women were commissioners of runes stones and women are mentioned in the inscriptions. Jesch mentions all the stones involving women commemorating the dead in Denmark, Sweden, Norway and the Isle of Man. Jesch talks about female colonists and the evidence of place names, especially in England and Iceland. She relates all the references of Viking women in foreign sources including written sources by foreigners who visited Scandinavia. She gives a list of these sources which include Arabic texts. In addition she mentions the women who were written about in sources such as the “Anglo-Saxon Chronicle”, “Russian primary chronicle”, different Frankish annals, and the “Annals of Ulster” and “Vita Findani” of Ireland. By far the largest chapter in “Women in the Viking Age” chronicles how women appear in art, myth and poetry. This is the heart of the book. Jesch recounts how women appear in the Oseberg tapestry which was found in the Oseberg burial ship, a grave holding the bodies of two women who seem to have been wealthy and had great influence. Other depictions of women appear in mythological scenes carved on picture-stones. The next section of the chapter goes into women’s roles in various Norse myths and legends. This was by far my favorite part of the book. First Jesch recounts the sources for the myths and legends, the “Poetic Edda” and the “Prose Edda” which were written down in the thirteenth century in Iceland. Here she talks about the goddesses in the Norse pantheon, women as objects of desire, warrior women and gives examples of women in Eddic poetry. The next section deals with women in skaldic poetry. These are poems invented by Scandinavian and Icelandic court poets for kings and usually have descriptive historical content, praise for kings, and tales of battles and deeds of the king’s career, epitaphs and genealogies. As Jesch points out there are many women in these poems. These women are shown cheering on their men, listening to their tales of battles and exploration, women’s suffering and even romance. Jesch explains the meter and wording of the poems which have strict syllabic rules and she gives many illustrations in Old Norse with English translations. She tells us there may have been some women skalds and about the audience for these poems. The books ends with a summary of the types of Viking women encountered throughout history and how the introduction of Christianity affected the lives of some women. The book contains many illustrations depicting women in runic stones, picture-stones and also pictures of grave goods found in female graves. There is an extensive bibliography to facilitate further study. This is an authoritative book on the subject of women in the Viking Age and I highly recommend it. Lately I’ve been in search of good books regarding the Vikings and the Viking Age, especially about their everyday life and most especially about viking women. From the title, this book seemed to fit the bill. 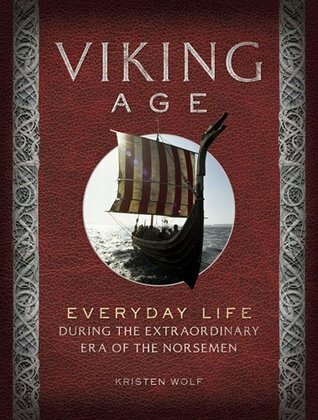 I had recently read and reviewed “Everyday Life in the Viking Age” by Jacqueline Simpson which was written in the late sixties. I was eager to compare what the two authors had to say on the topic and if there were any changes. Interestingly, Wolf’s book confirmed everything in Simpson’s book. 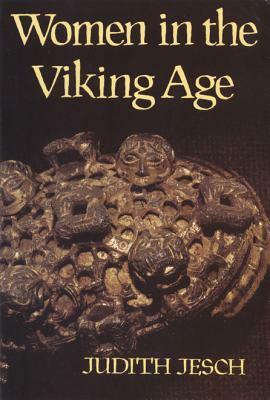 I was delighted when the first chapter dwelt mostly on women and their role in Viking Age society. Wolf was very specific in describing domestic life, marriage, kinship, childbirth, children and old age. Next is a chapter on economic life and Wolf tells us a great deal about Viking Age trade. The section on the trading centers (emporia) was very appealing. In the chapter on intellectual life, she goes into great detail about language and writing which was very technical and little hard to understand but Wolf’s specialty is Scandinavian languages. The other sections on education, literature, science and health and medicine are fascinating. I really liked the section on material life. Here Wolf describes Viking Age housing, domestic furnishings, men’s and women’s clothing, and food and drink. Wolf describes the different styles of visual art, i.e. Broa, Jelling, Mammen, Borre, etc. And of course there is the requisite segment on Viking Age ships and other types of boats as well as how the vikings traveled by sea and by land. This is really the heart of the book and the most enjoyable chapter. The chapter on political life explains the social structure of society, from slaves up to the aristocracy. Wolf talks about the process of unification broken down by country, Denmark, Sweden, Norway. I especially liked the history sections of this chapter, giving short paragraphs on how the Vikings colonized different areas of the world. Wolf gives a breakdown of the law codes, warfare and weapons. The final chapters are devoted to recreational life, religion, myths, death and burial practices. She has a brief explanation of how the Scandinavian countries were Christianized. There are many beautiful illustrations. Overall, I found the book to be enlightening and pleasurable read. I would highly recommend it. This book is one in a series by Sterling Publishing Company regarding the everyday life of ancient historical cultures, the others being Greece, Egypt and the Middle Ages. Back in the late sixties, Dorset Press put out a series of books about everyday life in different cultures, mostly in ancient times. Included in this series was a book about everyday life in the Viking Age by Jacqueline Simpson. Dr. Simpson is a researcher and author on folklore and legend from the United Kingdom. She studied English Literature and Medieval Icelandic at Bedford College, University of London and has served as Editor, Secretary and President of the Folklore Society. The time frame of this book is from the eighth to the mid-eleventh centuries and covers the expansion of the peoples of Scandinavia and their life at sea, at home and in their colonies. As her sources, Simpson uses the abundance of early Scandinavian and Icelandic literature that exists paired with archaeological discoveries such as the excavated settlements of Jarlshof, Oseberg, Hedeby, Gokstad and others. The books starts out with an explanation of who the Vikings were and the sources for their history. Simpson gives an overview of the expansion of the Vikings and then discusses their life on land and at sea. She has chapters on the merchants, weapons and warriors, the family and society, their games, arts, poetry, religious practices and funerary rites. An interesting point she makes regarding the funerary rites it that the sending of a burning ship out to sea is fairly rare and was only used by the upper echelons of society. Perhaps the best feature of this book is the plethora of photos and drawings that are included. For many of the historical points given, there is a corresponding illustration. There are numerous representations of gods and their stories, depictions of rune stones, photos and drawings of everyday implements and tools. She gives a detailed explanation of how the formidable Viking ships were built, what their dimensions were and how they used oars and sails. There are portrayals of Viking clothing and floor plans of their housing. I really enjoyed the description of animal husbandry and how the merchant colonies operated. Dr. Simpson’s writing is imminently readable. The illustrations are priceless and there is an excellent section of suggestions for further reading. Reading this book along with Jonathan Clements “A Brief History of the Vikings” is a great introduction into Viking history. I learned a lot from this book and highly recommend it. Due to testing my family DNA, I discovered my paternal ancestry is Nordic Viking. To go along with this, the History Channel began airing a series called “Vikings” which I have thoroughly enjoyed, by the way! 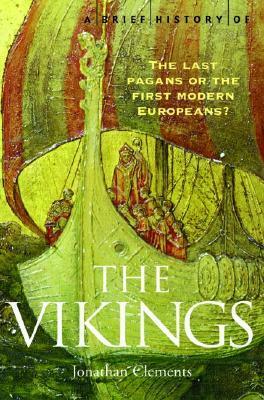 This made me want to know more so I began by reading “A Brief History of the Vikings: The Last Pagans or the First Modern Europeans?” by Jonathan Clements. 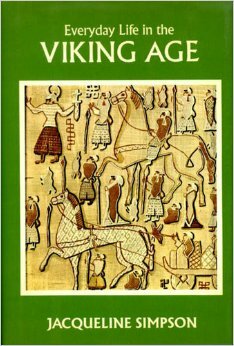 While this is not a definitive history of the Vikings, it’s a great introduction. Clements writes with an easy style, injecting subtle humor into the stories. He begins with a short rundown of the Viking people before the great Viking Age with a chapter on the myths and legends of Scandinavia. This includes an explanation of what is known of their religious practices and those of the people in the surrounding geographic area. He then moves on to the late eighth century when some of the raids began on England, Ireland, the Highlands of Scotland and other islands. Clements also tells us about the history of Iceland and the colonies there. There are several reasons given for the diaspora of the Scandinavian peoples during the Viking Age. Most importantly has to be trade. The Vikings were in search of trade and especially silver. 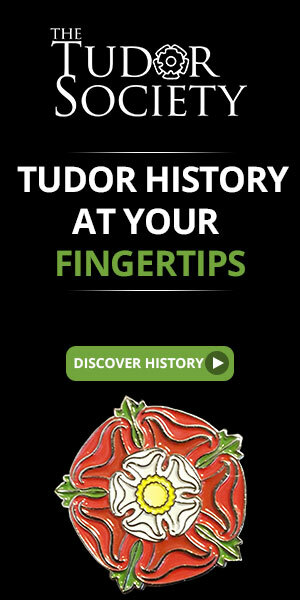 This led them to the Middle East where they traded with the Muslims for vast amounts of silver. But after the mines stopped producing the metal, they had other motivations for sailing to other locales. Clements points out there were family feuds among the men that drove them to conquer others. The Vikings also went in search of more land to farm and raise livestock. They sailed their well-constructed ships to many geographical places: England, Scotland, Ireland, northern France, Iceland, the Faroe Islands, Greenland and even North America. My favorite stories are of those who came to North America and about Hrolf the Walker, also known as Rolf or Rollo, who founded the Normandy dukedom in France and was an ancestor of William the Conqueror. Being American, I was always taught that Christopher Columbus was the first person to “discover” America. Clements gives a nice rundown of the many explorers and colonizers who viewed or touched on the shores of North America. Some stayed for short periods of time and some took lumber and brought it back to Greenland and Scandinavia. And of course they encountered the “Skraelings”, or Native Americans, much to their discomfort. This was my favorite part of the book. The pinnacle of the Viking Age according to Clements was the life of Harald Hardada (the Ruthless). He had many adventures. Whether they were true or fanciful exaggerations doesn’t really matter because it still makes for a good story. This book is a great foundation for those who want to know more about the Vikings. There are some nice photos in the book and a great appendix. There are lists of Rulers During the Viking Age along with family trees and maps. And of course, there is an excellent bibliography for those who are interesting in exploring more. I recommend this book and will keep it in my library for further reference.